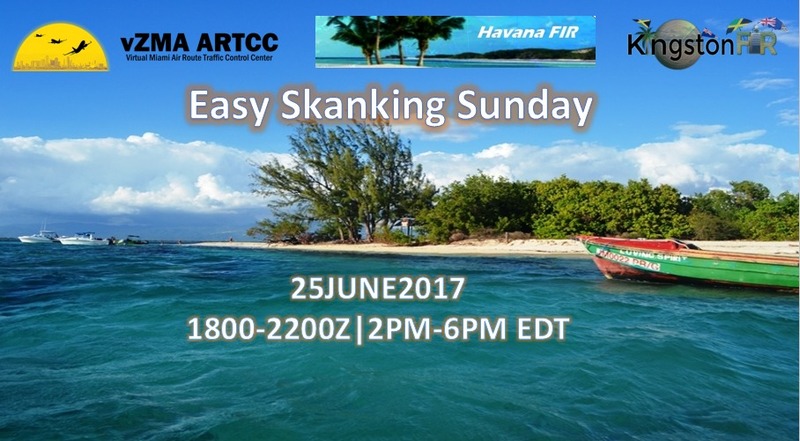 The Kingston FIR presents, "Easy Shanking Sunday", on the 25th June 2017 between 1800z and 2200z. Make MKJP (Norman Manley Int'l) your destination and enjoy ATC provided by some of the best controllers in the region. We hope to see you there!